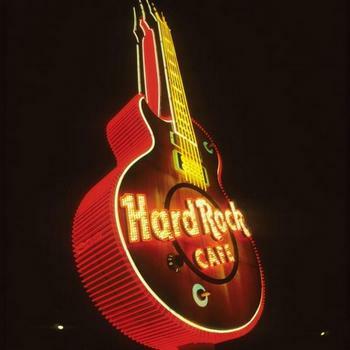 March is the month to combine your activities to get the most out of Las Vegas! While the 10th Anniversary of the HSBC Sevens World Series of Rugby tournament is going on at Sam Boyd Stadium in Henderson from March 1st through the 3rd, you can also attend the International Fan Festival right next to the stadium. The tournament begins at 3:00 p.m. on March 1st, 11:30 a.m. on March 2nd and 11:00 a.m. on March 3rd. You can purchase tickets for a single, 2-day or 3-day package. Ticket prices for all 3 days are $46 for ages 3-11, $272 for Reserved mid-field lower level, $734 for Club Gold (which has access to an enclosed hospitality area, indoor bar, private restrooms, lunch service, and 2 drinks) and $1,189 for the Premier Lounge ticket (including premium lunch, bar service, VIP entrance, meet and greets, VIP parking, and pitch side seating in the Premier Lounge Hospitality area). They also have a 3-day field level general admission ticket for $231. Tickets can also be purchased for a single day ($91-$498) for Friday, Saturday or Sunday and a 2-day pass for both Saturday and Sunday ($183-$999). The International Fan Festival, in conjunction with the Rugby tournament, will be held right next to the stadium in Star Nursery’s fields. The Festival will include beer, wine and international food, music with live performances, international merchandise and large screen TV’s to watch the activities at the stadium while you eat and shop. The festival hours are March 1st from 2:30 – 10:00 p.m., March 2nd from 10:00 a.m. – 9:45 p.m. and March 3rd from 10:30 a.m. – 5:30 p.m.
Be sure to check out this website: https://www.usasevens.com/las-vegas/entertainment/ for the schedule of events happening all week long around Las Vegas, including the Vegas Sports Weekend Pep Rally (for USA Sevens Rugby, NASCAR, Vegas Golden Knights, and UFC), the Parade of Nations and the Opening Ceremony Downtown on Fremont Street, after parties at Golden Nugget and House of Blues, plus discounts at local nightclubs! 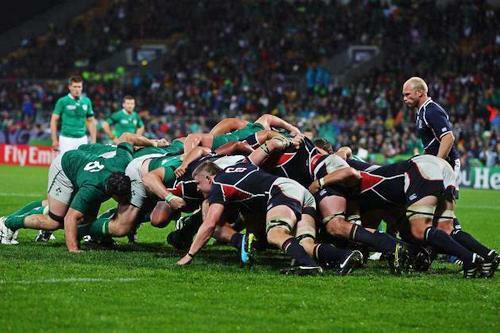 Should we celebrate St. Patrick’s Day which is on a Sunday this year? You bet! You’re in Vegas where the lights are bright and the beer turns green for a day. Why not do an Uber pub crawl to the Irish joints in town? Off the Strip you can hit McMullan’s Irish Pub on Tropicana at Cameron which is just to the west of The Orleans Hotel & Casino. You wouldn’t even have to Uber this one if you are staying at The Orleans! They have Happy Hour ½ price Appetizers! Their Paddy’s Day Party is so large they have to include their parking lot, so you have live entertainment going from 9 a.m. until 11 p.m.! Make no mistake, they will be partying from Friday through Sunday. Try their Irish Nachos … oh so big and oh so good! This is the place to have a terrific Irish meal! They have a dining area with little secluded sections of seating, larger dining areas and two bars, one in a separate room. There are a couple of good choices for St. Patrick’s weekend in Summerlin. 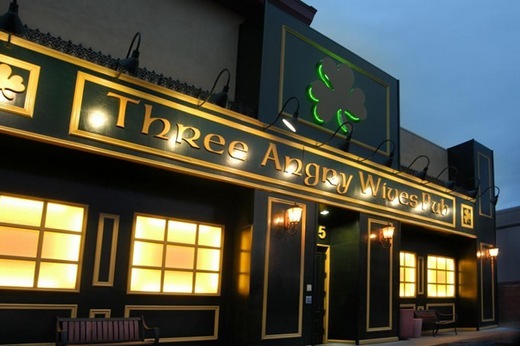 Three Angry Wives Pub is located on the southside of the Boca Park Shopping Center at the northeast corner of Charleston and Rampart. They also have a St. Patty’s Day party in their small parking lot. The normal tourist spots for an Irish experience are all over town including Hennessey’s Tavern on the Fremont Experience. 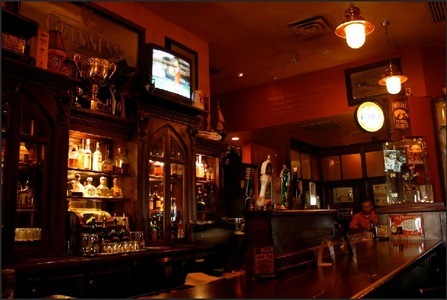 Hennessey’s features a pub crawl every Thursday night beginning at 7 p.m. For $20 you will get 50% off on an entrée and an appetizer and 5 drinks at 5 different bars (Hennessey’s, Evel Pie, Banger Brewing, Mickie Finnz, and The D Longbar). Strip locations where you can get into the green are Ri Ra (Mandalay Bay), O’Shea’s Pub (The Linq), Nine Fine Irishmen (NY NY), and Rock & Reilly’s (On the Strip north of the Hawaiian Marketplace, which is east of Aria). 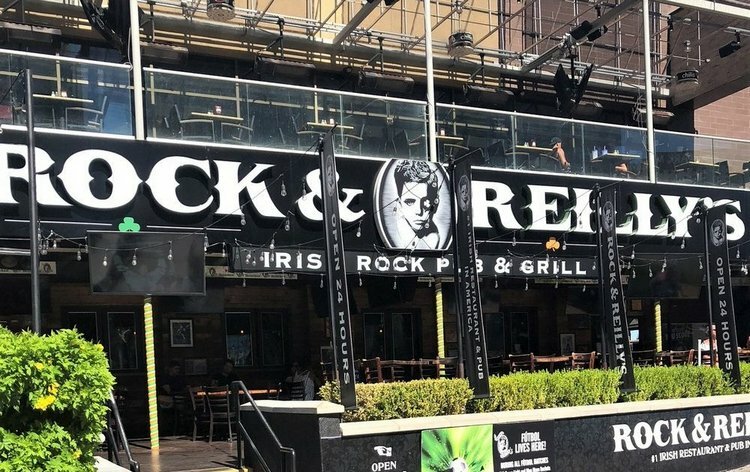 Rock & Reilly’s has nice outdoor seating and 1/2 price on all food on Monday’s with a local ID! If you travel farther south on the Strip you will find McFadden’s at Town Square. They open at 11 a.m. Friday through Sunday and 3 p.m. during the week. 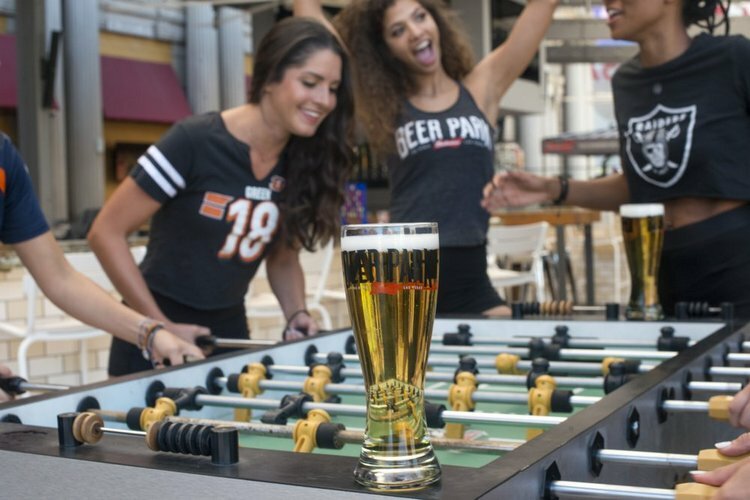 Yes, there are sports activities to watch while you are in town in March like the above mentioned USA Rugby, NASCAR, the Vegas Golden Knights hockey games, the Mint 400 and March Madness basketball. The sportsbooks will be hopping, which means you need to get there early to save your seat — especially for March Madness with 67 games over a period of 19 days. The Springs Preserve (Valley View and Meadows Lane) is hosting their Spring Plant Sale on Saturday, March 23rd and Sunday, March 24th from 8 a.m. until 1 p.m. They will have all types of plants for sale, including desert-adapted and native plants. And you might spot an area giving out free seeds for you to start your own plants or vegetables. There will be associates to answer any questions you have about the plants you are interested in purchasing to help you keep them growing for years to come. Check out their Botanical Garden! 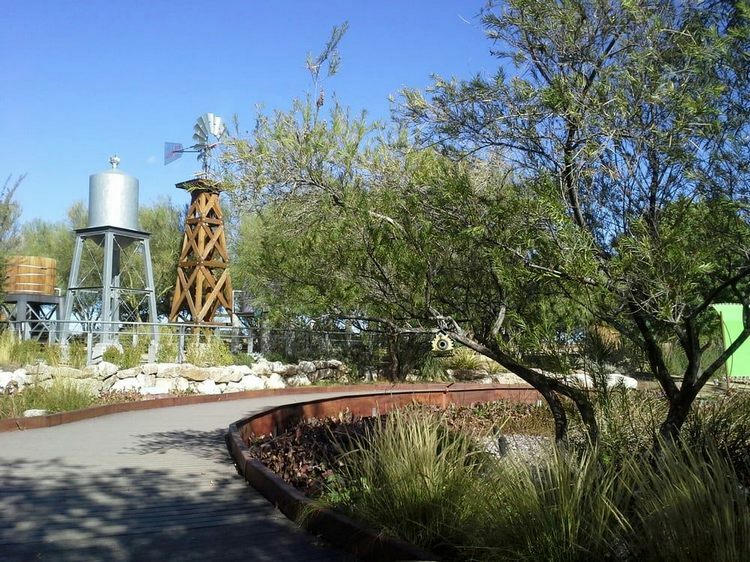 There is free entry into the plant sale; however, if you choose to go to the on-site museum, galleries or preserve there is an admission charge for those areas, which open at 9 a.m. If you are a member you receive a 10% discount on the plants you purchase as well as a 7 a.m. entry. Diamond Jack knows his trivia and was excited to hear that “Monday Quiz Nights” are being held every Monday from 6 – 8 p.m. at the Shake Shack at The District at Green Valley Ranch in Henderson. It’s free to play with any entrée purchase. Participants have the chance to win gift cards and will also receive a free order of Crinkle Cut Fries. The Tuff Hedeman Bull Riding Tour will be held at the South Point Arena & Equestrian Center Saturday, March 2 at 7:30 p.m. Tickets start at $30 for Hedeman’s two-hour signature style event having 24 of the world’s best bull riders by invitation only compete in a three-round competition and sudden death format for $30,000 winnings. The show will feature a lineup of world-class bulls, including bull icon Hellfire. This year, there will also be a live bull for fans to take photos at the Downtown Las Vegas Events Center (DLVEC). 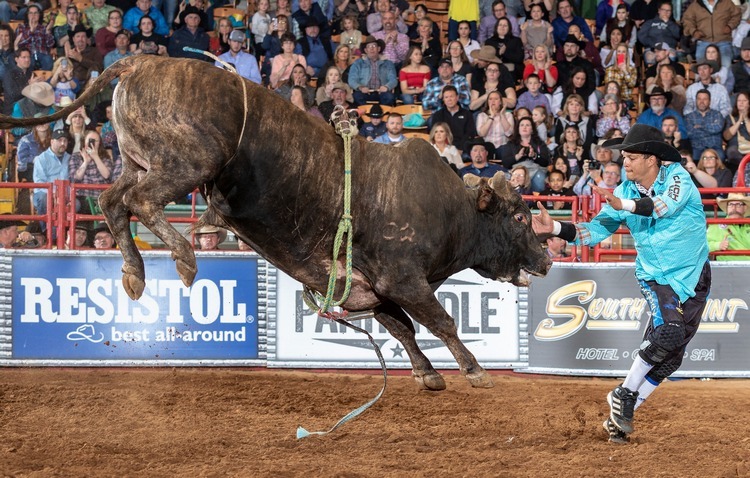 Hedeman, the four-time world champion bull rider, will be joined by Hellfire, Eli Vastbinder and Bryce Redo on Thursday, Feb. 28 during the Ultimate Sports Weekend Fan Fest at DLVEC from 3 to 6 p.m. 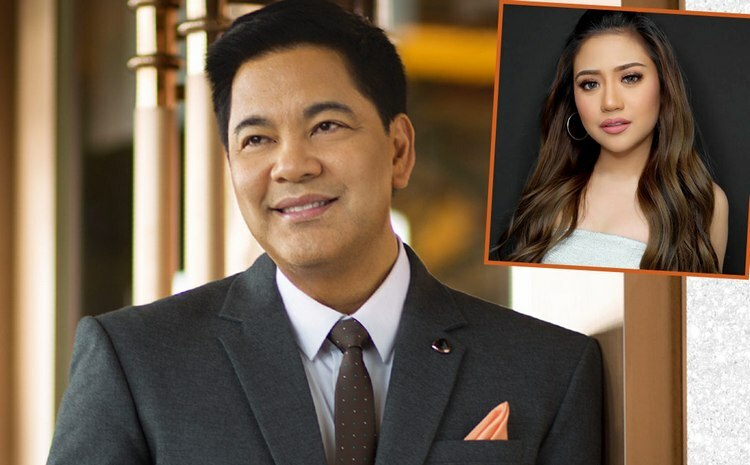 The M Resort has added two new spring concerts highlighting talented Filipino artists beginning with multi-platinum recording artist Martin Nievera on the M Pavilion stage alongside rising star Morissette Amon on Saturday, March 9 at 8 p.m.
Filipina powerhouse vocalists, Pops Fernandez and Vina Morales will perform on Saturday, May 25 at 8 p.m. Tickets for both shows start at $25. Pops Fernandez at age 16 released her first album and co-hosted the Philippine television series “Penthouse Live!” with Martin Nievera. Fernandez is also an entrepreneur who created Cheapipay, an online one-stop-shop store. Recently, Fernandez became part of the 50 “Wall of the World” global experts in the field of entertainment on CBS’s new talent show, “The World’s Best.” Singer, actress and model Vina Morales began singing with the choir of Saint Vincent Ferrer Parish Church in Bogo at the age of nine. She has also co-hosted a series of Filipino shows with Martin Nievera in the United States and Canada and was the first Filipino to sing at the New York International Music Festival held in Las Vegas in 2003. For more information visit the M Resort website. National recording artist Taylor Dayne will appear in the Veil Pavilion at the Silverton on Saturday, March 16 at 8 p.m. Tickets start at $25. Dayne’s career spans three decades of gathering along the way hit tunes such as, “Tell It To My Heart,” “Love Will Lead You Back,” “Prove Your Love,” “I’ll Always Love You,” and many others. Last year, Dayne celebrated her 30-year anniversary release of “Tell It To My Heart,” and a memoir with the song as its title is anticipated. Manzo, an intimate Italian butcher’s restaurant with a wood-burning grill, is now open and nestled quietly inside the bustling marketplace Eataly at Park MGM. Manzo in Italian means “beef,” thus the new outlet focuses on prime cuts from sustainable butcher farms cooked over live coals. The restaurant’s central point is the custom-built, three-tier wood-burning grill, where a careful selection of white oak, apple wood and coals are used. 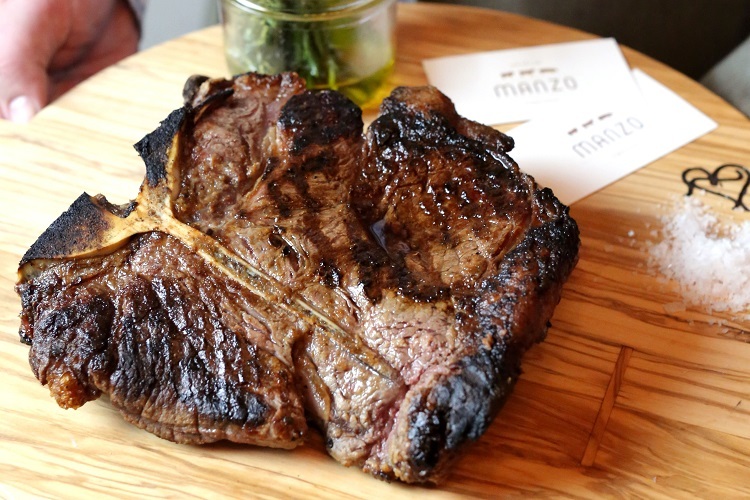 Manzo’s signature dish is the 40-ounce “Ribeye Appesa,” suspended over the grill, slow-roasted and reverse-seared to perfection. Guests can sit at the bar or directly in front of the grill to get a closer look at the preparation. The menu also includes dishes featuring fresh pastas made in-house by Eataly’s own pasta makers. Manzo is open 5 to 11 p.m., Tuesday through Sunday and has an intimate private dining room for up to 10 guests.